DPInterface Exclusive: Canon EOS 1D Mark IV preview (in-person). Here’s the third and final part of our extensive coverage of the newly announced Canon EOS 1D Mark IV, the moment you’ve been waiting for – our preview! After previewing the very hot Panasonic Lumix GF1 last month (whose final review will be completed soon), I’ve been writing full reviews of cameras and didn’t think I would be writing another preview so soon. But then again, I didn’t see this one coming – I was recently given the chance to see, hear and feel a Canon EOS 1D Mark IV in person: a chance I couldn’t pass up. The Canon EOS 1D Mark IV is Canon’s latest professional digital SLR, the much-awaited successor to the EOS 1D Mark III. Canon made several nice improvements here and there to its new flagship, the 1D Mark IV to please more photographers (hopefully, especially with the new AF system). The Canon EOS 1D Mark IV replaces the 1D Mark III as Canon’s professional sports SLR. Among the various changes the 1D Mark IV brings, there’s one which that I’m sure many photographers will appreciate – a redone 45 point AF system, this time with better accuracy and outdoor performance, and it’s stuffed with cross-type points. Without further delay, our preview of the Canon EOS 1D Mark IV starts now! Before moving on, I’d like to note the camera I have here is a pre-production Canon EOS 1D Mark IV and things are subject to change when the final camera comes out in November/December. For that reason, you probably should wait until our full, final review comes out before judging the camera. The Canon EOS 1D Mark IV is big, heavy, fast and extremely rugged; that’s great news for journalists, sports shooters or even casual point-and-shooters (if you’re willing to carry this massive camera around) who want to concentrate as much as possible on ‘the big picture’, literally and figuratively, instead of worrying if their camera will fall apart in harsh conditions. The Canon EOS 1D Mark IV measures exactly the same dimensions (156.0 x 156.6 x 79.9 mm or 6.1 x 6.2 x 3.1 inches) as its predecessors but weighs in about 0.9 ounces heavier at 1,180 g or 41.6 ounces; compared to the 1D Mark III’s 1,115 grams/40.7 ounces. It looks big compared to your average SLR but in reality, the EOS 1D Mark IV isn’t really a huge or massive as people think – it only looks big because of its integrated portrait grip; a mid-range SLR outfitted with a battery grip would be about the same size as the 1D. Need to know the nitty gritty details on what’s changed? Check out the neat Canon EOS 1D Mark IV vs Mark III comparison table I made. As mentioned, the Canon EOS 1D Mark IV will go for $5000 and will start shipping around November/December… body only! There are no lens kits or bundles available for the camera – which is perfectly fine for the 1D’s target market who probably have a bunch of lenses lying around anyway. The Canon EOS 1D Mark IV has two memory card slots: one for Compact Flash Type I/II and the other for SD/SDHC cards. One big improvement here is the 1D Mark IV can take advantage of UDMA-enabled Compact Flash cards (the 1D Mark IV supports up to UDMA Mode 6), which means the camera can perform much faster with one. The old 1D Mark III could use UDMA-enabled cards but with no speed boost or advantage. The 1D Mark IV uses the same LP-E4 lithium-ion battery as its predecessor so existing 1D Mark III owners can step up easily. The LP-E4 is an ‘intelligent’ battery and it reports the precise amount of juice available (in 1% increments), remaining charge life and serial number to the camera – you can view all of this in the battery section in the menu. Unfortunately, battery life on the EOS 1D Mark IV is down almost 32% compared to the 1D Mark III. The EOS 1D Mark IV is rated to take up to 1500 shots per charge in normal shooting conditions (around 73 degrees or 23 Celcius) and 1200 shots in freezing cold situations (32 degrees/0 Celcius) compared to the 1D Mark III which could take 2200 shots and 1700 shots in those respective temperatures. Canon has also brought up some battery life numbers for the EOS 1D Mark IV when used in live view mode – the camera can take about 230 to 270 shots per charge in live view mode. The Canon EOS 1D Mark IV has an EF lens mount which takes Canon EF lenses (along with third party and Canon’s specialized TS-E tilt-shift and MP-E Macro series of lenses). Canon has a huge selection of lenses ranging from ultra wide-angle to super-telephoto, so I believe they’ve got you covered in terms of lens choice. One thing I would like to note here is the brand new Canon EF 100 mm f2.8L IS Macro USM. It’s an L-series lens with Canon’s latest ‘Hybrid’ optical image stabilization, which now corrects shift and angular camera shake as well. I had the chance to try out the Canon EOS 1D Mark IV + EF 100 mm f2.8L Macro combo and I found focusing to be fairly snappy for a macro lens. There’s a focus limiter switch which allows you to limit the lens to one of three focus ranges. The Canon EOS 1D Mark IV can support Canon’s Speedlite flashes from the entry-level 270EX to macro ringlights to their 430EX and 580EX series of flashes, as well as third party flashes (though third party flashes cannot sync automatically with the camera). Canon notes that the EOS 1D Mark IV cannot wirelessly control external flash units unless there’s a master flash or flash transmitter attached to the camera. The reason? Because the EOS 1D Mark IV has no built-in flash. Canon’s own EOS 7D can wirelessly control flashes without attachments to the camera body simply because it has a popup flash. On the outside, the Canon EOS 1D Mark IV looks a whole lot like its predecessor, the EOS 1D Mark III, save for the model badge, of course. Almost all of the changes of the ‘new’ camera lie within the EOS 1D Mark IV. The biggest change is probably the new 16.1 megapixel APS-H CMOS sensor which produces even higher resolution photos, yet promises the same, extreme burst rate of 10 FPS and ISO expansion up to a whopping ISO 102,400 (for the record, the 1D Mark III had a max ISO of 6,400 after activating ISO expansion). Image quality seems to be promising for sure – from ISO 102,400 shots using a pre-production model, I still managed to make several usable small prints out of them… but we’ll get to the EOS 1D Mark IV photo gallery later on in this preview. While rumors and wishful thinking pointed to a full-frame sensor on the next ‘sports 1D’, the EOS 1D Mark IV announcement today confirmed that Canon still wants to keep the APS-H crop sensors – the camera has a APS-H sensor with 1.3X crop factor, which means a 50 mm lens will become equivalent to 65 mm in 35 mm terms. The Canon EOS 1D Mark IV features a movie mode that allows you to record full HD (1080p) videos with mono sound. For the record, the 1D Mark III didn’t have any movie mode. The EOS 1D Mark IV allows you to select one of three frame rates for your 1920 x 1080 movies: 24 FPS, 25 FPS or 30 FPS. There are also two lower resolution video sizes available: 720p (1280 x 720) and VGA (640 x 480). At these two settings, you can record at frame rates as high as 60 FPS! All movies are recorded in MOV format and limited to 4 GB per clip. You can manually focus and operate zoom while recording movies as well as adjust exposure (aperture and ISO) if you’re in Manual mode. Canon wants to keep the EOS 1D Mark IV’s movie quality a surprise until the final, production camera comes out; and I respect that. Sorry folks, I won’t be posting any sample video/movie files until the final review (or if Canon changes their mind, which I doubt). The Canon EOS 1D Mark IV has a burst mode that shoots at a blazing 10 frames per second. That’s right folks, TEN pictures, per second, which smokes your typical entry-level or even mid-range digital SLR and is perfect for capturing any sort of action. The EOS 1D Mark IV’s shutter makes a ‘snap’ sound that sounds a bit more… elegant compared to the Mark III each time it takes a photo. In burst mode, it makes a slightly different clack-clack-clack sound as it rattles off at 10 FPS (apparently the fast-firing sound of the shutter fascinates a lot of people; they seem to love it). With an extremely fast memory card (Read: you’ll need something FAST and UDMA-enabled like a SanDisk Extreme IV or Lexar Pro card) the EOS 1D Mark IV can shoot up to 121 JPEG photos or 28 RAW images in a single burst before the frame rate drops. I don’t deny their claims – I used a SanDisk Extreme IV Compact Flash card (that’s a very fast card, by the way) with the EOS 1D Mark IV and I managed to get about 130 JPEG photos in a row before the camera slowed down. With slower cards, the camera can still take something like 80 JPEG photos (because it has a large buffer), but it takes ages to write them to the memory card. The Canon EOS 1D Mark IV powers on pretty much instantaneously and auto focusing is snappy as ever, even on a pre-production unit. I tried out the camera in AI Servo mode with an EF 70-200 mm f2.8 lens and took several sequences of continuous shots of moving subjects in rather hot and humid conditions. I’m glad to report the EOS 1D Mark IV kept up very well (majority were ‘keeper’ shots) – I guess Canon learnt their lesson after the 1D Mark III out-of-focus fiasco and really got down to the drawing board this time. The outlook for the 1D Mark IV appears to be very good and I look forward to seeing equally fantastic (or better) performance in the final, production unit. 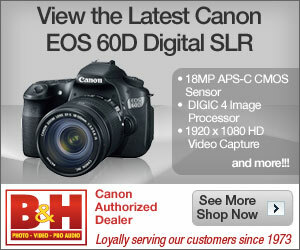 The Canon EOS 1D Mark IV is a big, professional digital SLR. It has almost every manual control imaginable, build quality of a tank and rapid continuous shooting rates. It’s a fantastic camera to use, a little on the heavy side but the 1D’s excellent ergonomics more than make up for its weight. I liked the several nice touches Canon added to the camera – the high resolution LCD, improved button feel and feedback (for glove wearers), and some ‘convenience features’ such as the ability to quickly change LCD brightness and autorotation of AF point layout when tilting the camera back and forth to portrait/landscape positions. For working professionals, whose bread-and-butter relies on the camera they use, who have a lot of Canon lenses already in their many camera bags, the Canon EOS 1D Mark IV is an easy pick. For hobbyists and regular Joe’s who want to get the 1D Mark IV… well, you probably won’t regret buying a top-of-the-line camera but be sure to ask your pocketbook and/or spouse first! Performance, autofocus and image quality impressions from this pre-production unit seem to bode well to the results we will probably see on the final camera. It’s too early to judge the pre-production Canon EOS 1D Mark IV I have here now, but the results look promising. I’ll post my conclusion and final thoughts once I get to review a final, production level camera. Till then, I hope you enjoyed my little preview of Canon’s flagship sports camera I’ve posted today. If you have any questions, feel free to leave them in the comments section below and I’ll try my best to answer them. Brad, thanks for the review. I’m disappointed that you needed to remove the high ISO samples at the request of Canon, but I can completely understand. I have shot with the Mark III since July of 2007 and have been completely happy. I preordered the new Mark IV to take advantage of the higher ISO performance, hence my interest in the samples. I greatly appreciate the automatic focus point when changing orientation, as it has been a frustration using the Mark III. My thumb just can’t make the span to the joystick when I have the camera in the portrait position. I have a very difficult assignment in low light in December, so I’m really hoping the units ship in late November. Hell, what happened to the sample pictures?! Why is Canon behaving so? Why? Nice review… will the EFS lens fit …?? Thank you. It’s a preview, by the way, not a review =). EF-S lenses won’t fit on the 1D Mark IV because it is APS-H, not APS-C – the camera’s image sensor is larger than that found on the X0D, X00D and X000D cameras, hence the mirror, construction, etc.